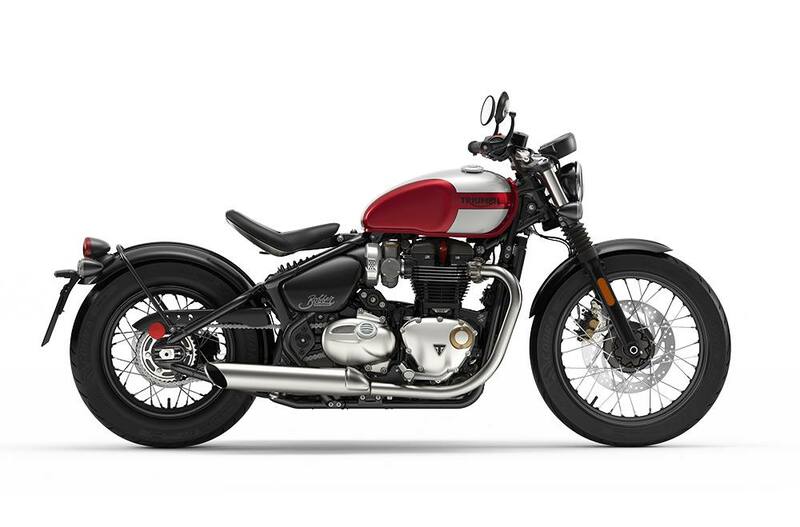 Category defining capability, control and comfort: A unique chassis, suspension and frame, that works alongside the rider-focused technology to deliver a supremely confident, dynamic and comfortable Bobber ride – without compromise. Innovative and elegant engineering: A first-in-class adjustable riding position includes floating aluminium single seat pan, distinctive ‘swing cage’ with hard tail styling, monoshock suspension, and ‘clean line’ hidden technology. Thrilling hot rod ride and sound: Category leading torque and power (low-down and across the mid-range) for a thrilling hot rod ride. 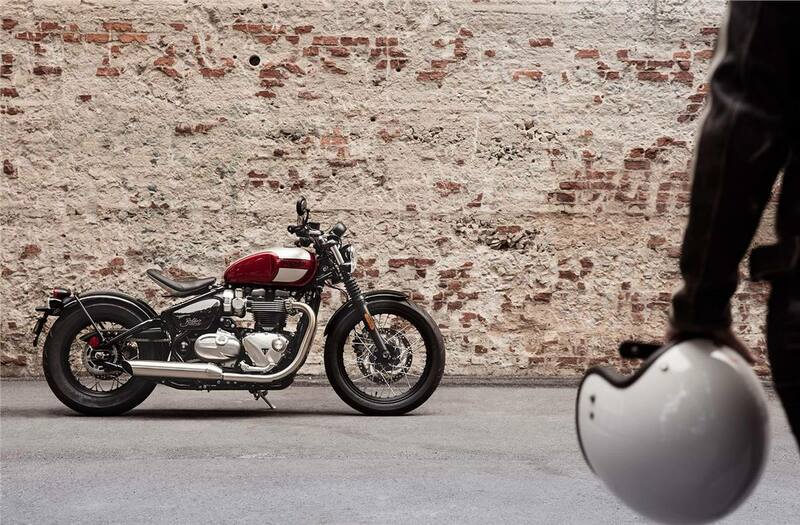 Short slash-cut twin silencers deliver the Bobber’s distinctive deep, raw British soundtrack. 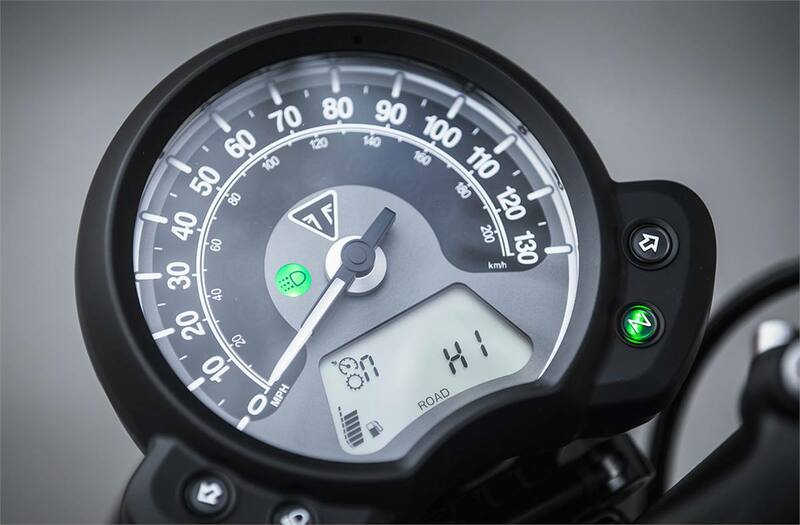 ABS & Switchable Traction Control: The Bobber incorporates an ABS and switchable traction control system that optimises the delivery of torque when traction is compromised to maximise rider safety and control. Floating Aluminium Single Seat Pan: Distinctive, floating aluminium single seat pan with cantilever support arm and seat profile ergonomically optimised and sculpted for comfort, with a beautifully stitched deep foam pad and finished with Triumph branding detail. Swing Cage and Suspension: A sublime black powder coated ‘cage’ swinging arm brings the distinctive Bobber ‘hard-tail’ look, fitted with paddock stand bobbin mounts. 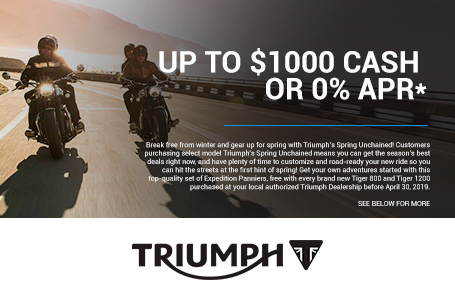 the under-seat monoshock rear suspension delivers superior performance and comfort. 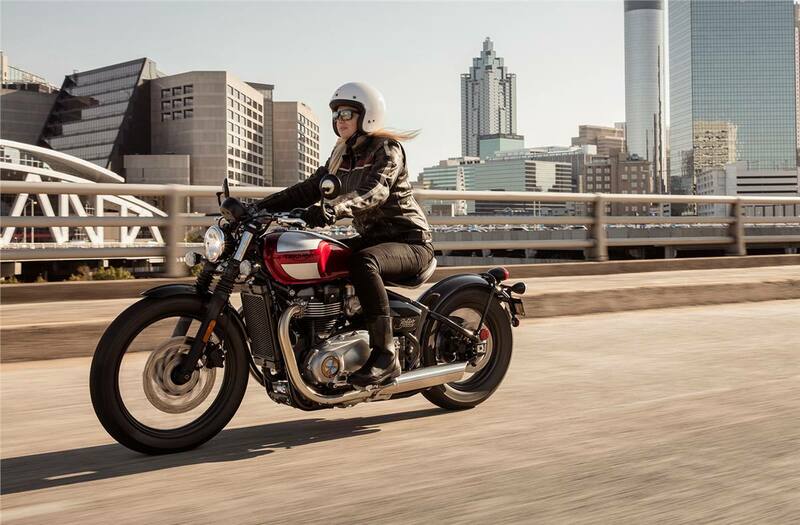 Ride-By-Wire: The latest generation ride-by-wire system brings an enhanced level of control to the Bonneville Bobber, with minimal visual impact. Liquid Cooling: The modern liquid cooling system provides clean fuel-efficient riding, better fuel economy and a high first major service interval of 10,000 miles. 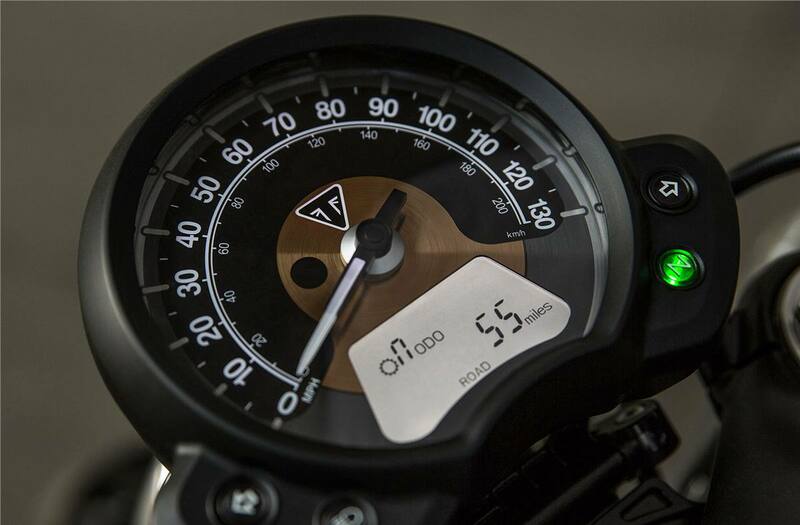 Riding Modes: The Bobber has two category leading selectable riding modes, linked to the ride-by-wire system - ‘Road’ and ‘Rain’ for greater control and safety. 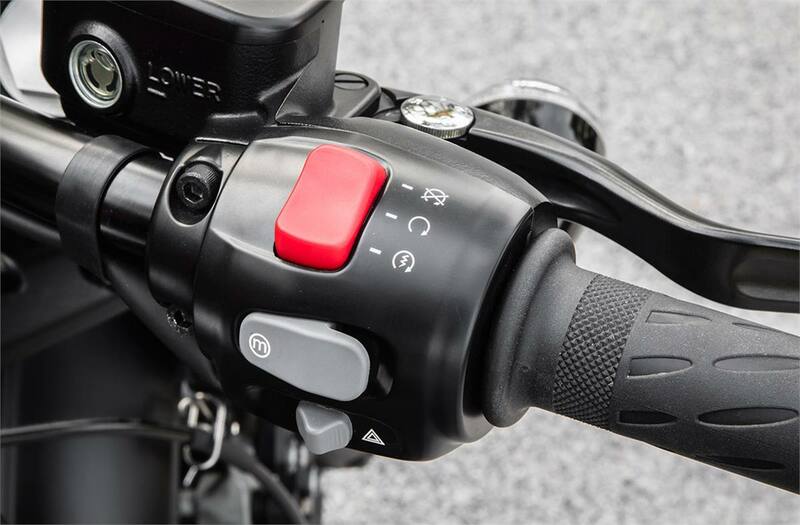 the two dedicated throttle maps are selected via the handlebar-mounted switch gear. 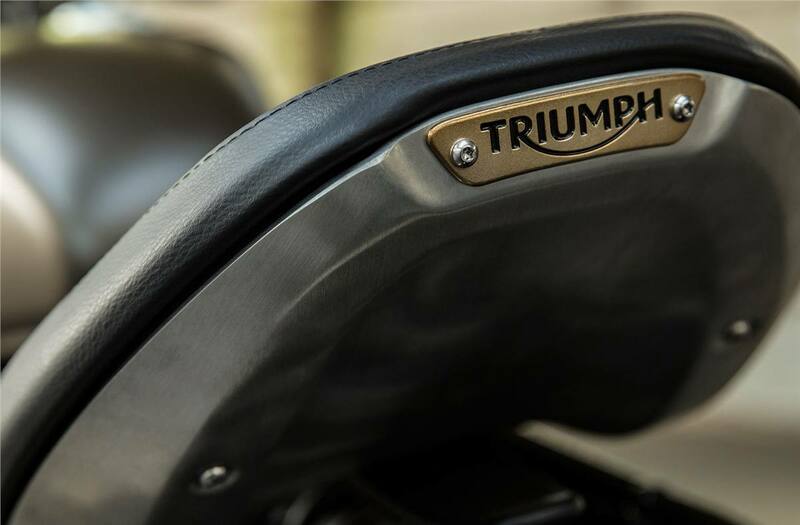 First-In-Class Adjustable Riding Position: First-in-class adjustable riding position to suit the size and riding style of the rider, allowing you to tailor the seat position for a dynamic ‘up and forward’ ride, or a ‘down and back’ more traditional Bobber stance. 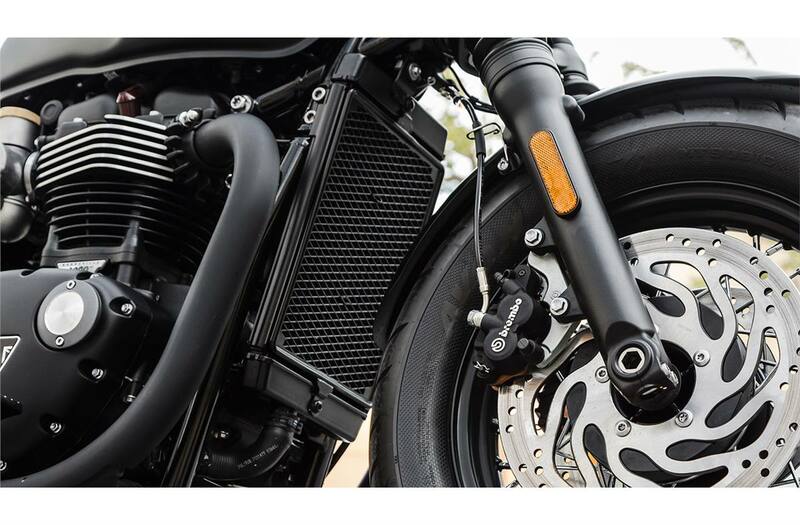 Torque-Assist Clutch: The torque-assist clutch system brings a light touch and feel to the clutch control of the Bobber, helping reduce clutch lever effort for the rider, making it easier to ride for longer. 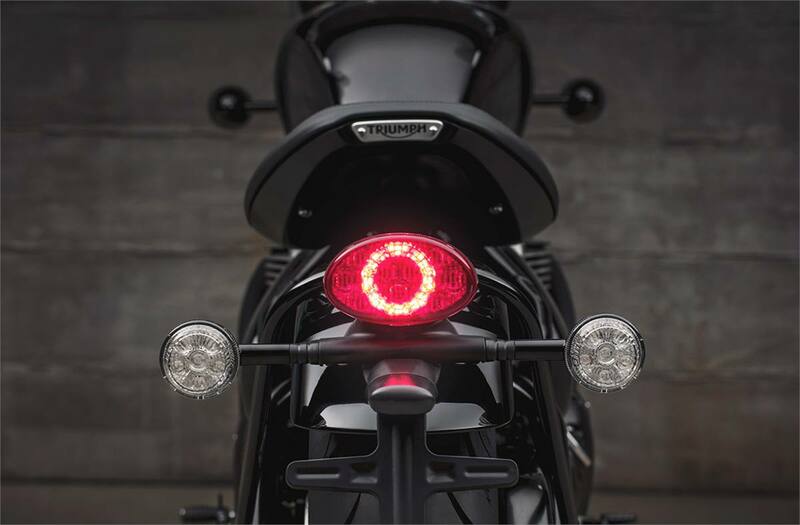 LED Lighting: The Bobber's LED rear light, indicators and number plate light are incorporated in keeping with its minimalistic look to provide a distinctive light pattern and greater power efficiency for long-term durability. the Bobber Black also features a full LED headlight with daytime running light. Local restrictions may apply. 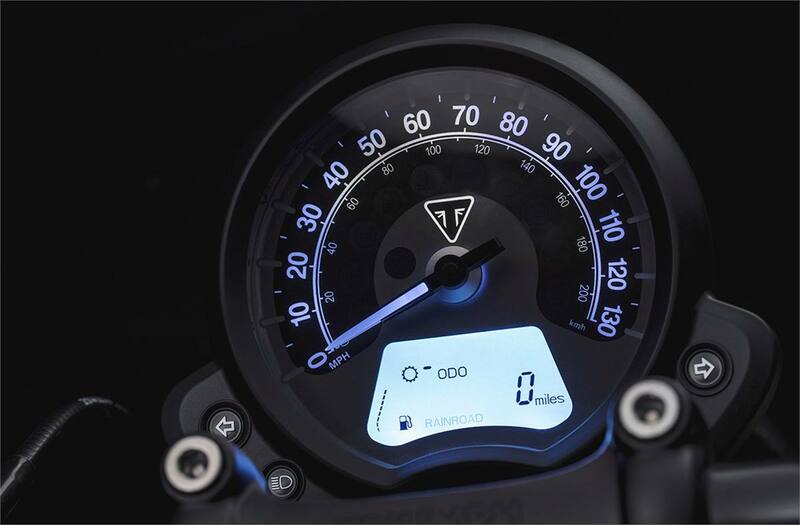 Feature Packed Single Clock: The Bobber has a stylish feature-packed single clock with a beautiful machined dial face, neatly housing a digital menu system, accessed by a handlebar mounted scroll button.